Kara Webb is a six-time CrossFit Games veteran who finished the 2017 CrossFit Games on the 2nd place on the podium, in the closest finish in the Games history. With a steady growth and a continuous development, this is one athlete who looks like she’s got quite a few achievements still ahead of her. With a greater mental game than ever before, Kara doesn’t seem to loose her cool even when the pressure reaches the highest possible intensity, such as the moment a judge’s rep miscount needed to be deliberated. What makes this athlete so strong and so determined? How does she tackle life’s challenges and get through them with a big smile on her face? Let’s take a closer look at Kara’s life and journey with sports. Ever since the earliest ages, Kara was a very active child. Her mother recalls Kara started walking when she was just 8 months old. As the months passed by, she grew into a toddler that wanted to go everywhere and climb onto and into everything. As a natural consequence, Kara grew up as a sporty kid. She played all sorts of sports, out of which her sport of choice was swimming. She remembers waking up at 5 am every day to go for a swimming training, getting home for breakfast and heading fast to school, just to do it all over again in the afternoon, when classes had finished. It’s probably because of this constant presence of movement in her life, combined with constantly trying new sports to play that she finds herself so comfortable and relaxed on the competition floor. When she was just 19, Kara had two great discoveries that were going to change her life. The first one was meeting Jason, a man that managed to steal her heart, obviously in a gym, between the stepper and the treadmill. The second one was discovering CrossFit, through her personal trainer at that time, Brian Bucholtz. And it was love at first squat. Kara had a good grasp of what CrossFit implied from the beginning. The movements came naturally for her and so she realized she has a talent for this discipline pretty quickly. What followed was two years of fast progression that culminated in 2012 when Kara won the Pacific Regional. She then went on to Carson to finish 19th in her first year at the Games. Later in 2012 she married Jason. Needless to say that the CrossFit community was there for them and the wedding cake was one glorious masterpiece inspired, of course, by CrossFit as well. However, the She-Bear managed the impressive achievement of finishing first in 2013 in the Pacific Regional once again, proving that she’s getting stronger and more ready to climb her way up on the Games leaderboard. And so she did, by finishing 12th that year at the Games. The 2014 season came and Kara was feeling more ready than ever for the Games. Standing on top of the leaderboard, she was clearly the favourite to become the Fittest on Earth. But as time unfolded Kara started showing some signs of weakness. During a handstand walk she realized it’s not going to be possible to do it. Her arm went numb because of a nerve that ceased. After that event she dropped from the first position to the third one. Eventually because of her health state she had to stop the Games. This was a devastating decision for Kara. Who knew that 2015 will bring another rough season for Kara. With the sun shining brightly in Carson and the temperature outside reaching almost 30°C running didn’t come easy for lots of the athletes. Despite the heat exhaustion and the strains her body was going through, Kara still managed to finish 5th that year, which is an amazing performance given the circumstances. 2016 came with another great placing for Kara. After finishing first at the Pacific Regional yet again, she had another great performance and finished on the remarkable 7th position in the Games. And when all events were done and the awards were handed, Kara was called for accepting the Spirit of the Games award. Besides athletic greatness, the Spirit of the Games award celebrates great character and values such as integrity, class, heart and determination. Year after year, this award goes to the most iconic and genuine personalities in CrossFit. So it made perfect sense that the person that would get the award would be Kara Webb. But who knew that while she was accepting a trophy that was celebrating her authentic personality and incredible character, Kara was actually going through some truly rough times in the personal life. After taking some time to digest her feelings and what she needed to do in order to feel good again, Kara came to the conclusion that one of the biggest problems was actually her relationship. This ultimately lead to a marriage break up. In this hard process she lost some of her friends, and a few relationships, she had to face judgements and it all culminated with Kara deciding to leave her gym. Because of the stress and exhaustion, her health state and her training were affected. Kara often mentions the wise words she got from her mother “Listen to your gut instinct”. Guided by these words, Kara started cleaning up the broken pieces of her life, went through with the divorce, moved to a new house and came back to training, but this time with a stronger, more introspective and constructive mindset. The 2017 season came. And in Madison we all witnessed a new an improved Kara Webb. The laser sharp focused and unstoppable Aussie that looked more determined than ever to sit on top of the podium. The weekend was unfolding greatly for Kara, as she was flying through the events one after another. Until the second to last event of the Games. During the “2223 intervals”, Kara’s judge made an inaccurate rep count and she finished the event 4 reps short. After an excruciating few minutes, the head referee eventually decided to make a six second time adjustment, which pushed her down to 4th in that specific event's standings, behind Kristin Holte. The final event of the 2017 CrossFit Games for the individual women was by far the most tensed event in the Games. Kara remembers being calm and collected most of the time during the Games. The only time she really lost herself was right before the last event. This one was the real test of mental strength. In those moments, thoughts were running through Kara’s mind with the speed of light. Kara recalls looking for an anchor, some thought to bring her back to herself. And only one phrase popped in her head: “The champion is not the one on the first place, but the one that comes through in the final hour”. This was the phrase that managed to help Kara get it together in the last event. The battle for the Fittest Woman on Earth was tight until the very final moment. Everybody was waiting with their hearts on their sleeves. When the final standings came out the results were amazing: Kara would finish behind Tia by just two points, losing her the title of Fittest Woman on Earth. “In my eyes my greatest achievements this year had nothing to do with my placing, this was just a cool reflexion of the hard work”, says Kara reflecting on her achievements in 2017. What we see in front of us is a mature athlete that went through a process of real self growth and development. She remembers feeling genuinely happy for Tia. Part of her growth included also being able to celebrate other people’s success. LET’S ALL RAISE A SHOEY FOR KARA! CrossFit Invitationals came soon after, and they were hosted in Australia this time. Everybody wanted to see the two Fittest Women on Earth compete together in the same team. And indeed it was a real treat for the eyes. Kara and Tia looked unstoppable together. Their joined efforts resulted in Team Australia taking the victory for 2017 and doing the traditional Aussie shoey to celebrate - drinking champagne from their shoes. Kara talks openly about her rough period and she highlights how important self reflexion is on a daily basis. There are so many excuses we can make to avoid it, the biggest one being lack of time. But you need self reflexion. You need to program it in your life. Have a conversation with yourself every now and then. Be honest. Look at what you need to be better at. And most of all, listen to your gut instinct! Although she works to have a balance of exercises, her favourite still tends to be lifting. 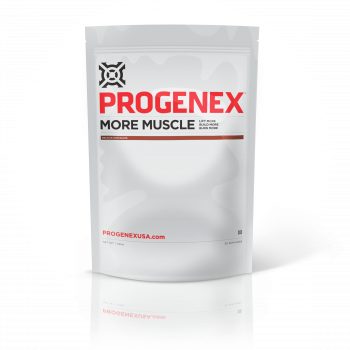 After training in the morning: Progenex protein shake and breakfast, which is approximately 1 1/2 cups of cooked vegetables and 2 eggs. Lunch: vegetables and leftover meat from dinner the night before. The meat is always varied and the vegetables are usually roast kumera, pumpkin, beetroot etc. Starchy vegetables are the ones Kara prefers, because they provide the body with more energy for training. 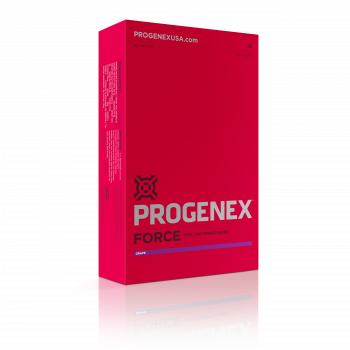 After training in the afternoon (Kara trains twice during the competition season): Progenex protein shake. Dinner: usually roast vegetables with green vegetables in the pan. Kara’s favourite greens are bok choy, asparagus, broccolini and brussels sprouts, chopped and cooked in the fry pan in a little bit of ghee. Snacks: only when needed, some blueberries with a little bit of high quality yoghurt. Kara set a new world record in pistol squats in February 2017. She completed forty-two pistol squats in sixty seconds. The previous record was twenty.